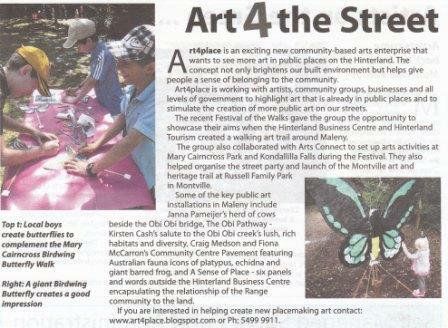 The following article was published in the September 2010 edition of the Hinterland Times. Well Done art4place! The butterfly with the little girl is amazing and it looks just like the Birdwing butterfly too.